Heat oil to 350°F in a deep fryer. Season the chicken tenders on both sides with salt and pepper. Whisk flour and garlic powder together in a medium casserole dish. Add buttermilk to a second casserole dish, and the panko to a third casserole dish. Dredge the seasoned tenders through the flour, the buttermilk, and then the panko. Add chicken to the deep fryer and fry for 4 minutes, until golden brown and crisp, and an instant read thermometer reads 165 degrees. Drain on a paper towel lined plate. Prepare waffle batter as directed on the back of packaging. Cook the waffles according to the directions for your Gourmet Waffle Baker. 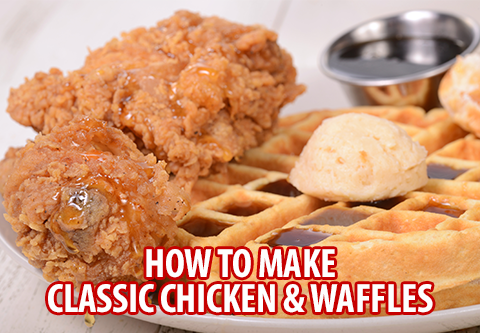 Serve waffles topped with the fried chicken. 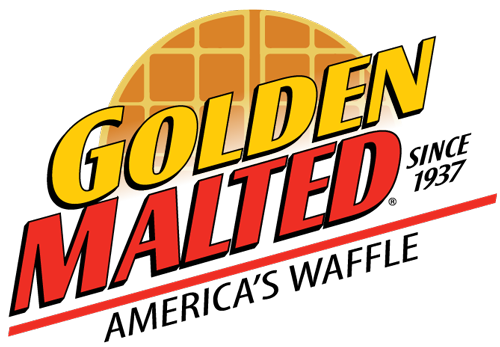 Serve with hot sauce and Golden Malted Classic Syrup. FREE 3-6 Day Shipping on Retail Orders Over $49! Start Shopping Now!